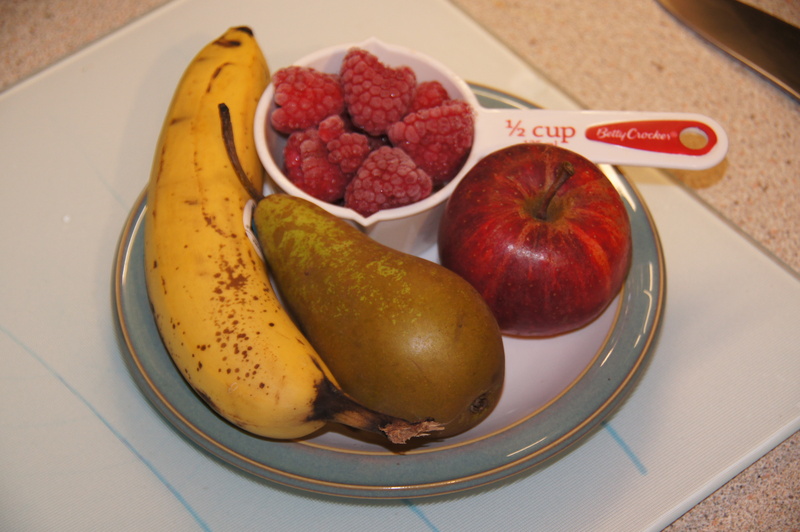 This Breakfast Smoothie has pear and banana both known to be high in fibre and for slow release energy, apple for cleansing properties and raspberries known for their antiviral and weight loss properties. The perfect smoothie for a busy morning and remember to pop a On the go Snack Bar into your bag for a mid morning snack for when you get peckish. 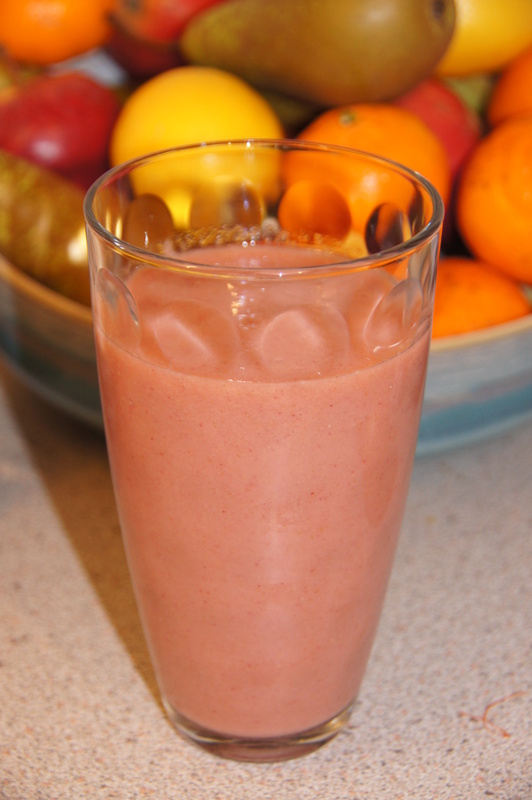 A good trick if you like a cold thicker smoothie is to use frozen bananas. Just de-skin your bananas, cut into four and place in to a freezer bag and pop in the freezer and then they are ready to use whenever you need them. I also tend to find bananas to be the one thing I buy and tend to let go bad, so when they are getting to rip rather than throw them away just use this trick, save some pennies and have yummy thick smoothies. Core the apple and the pear. 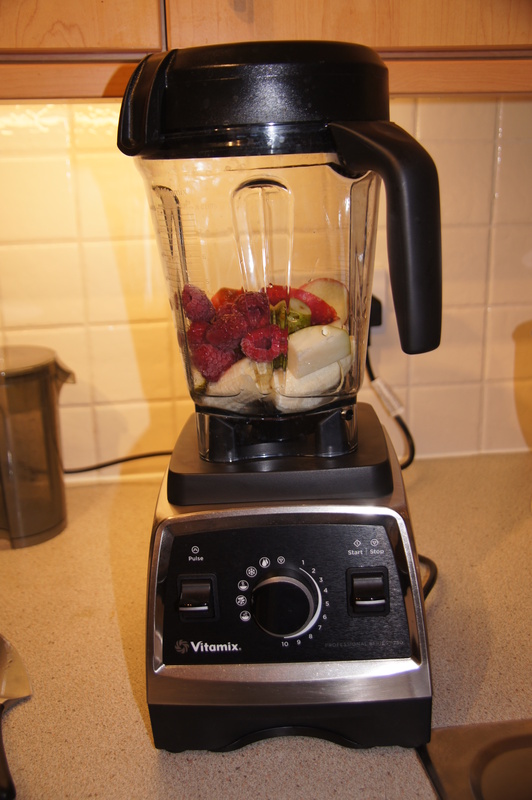 Place all the ingredients into the food blender and blend for a minute or until smooth. 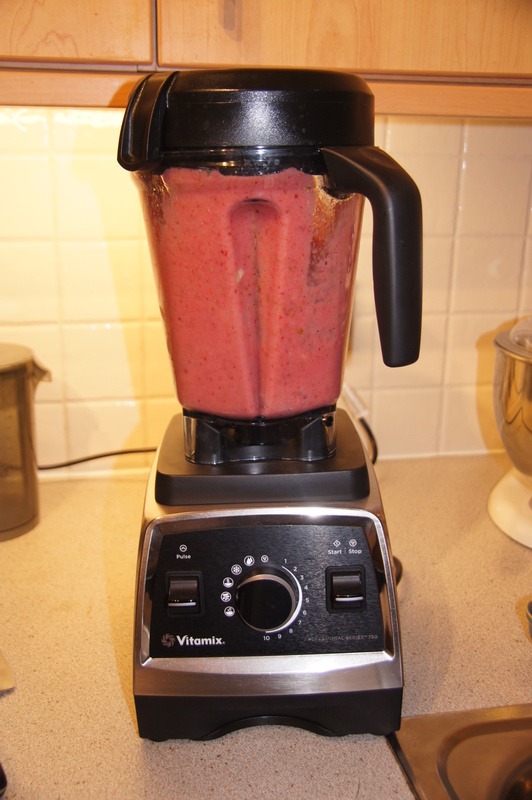 This entry was posted in Breakfast, Juices and tagged apple, banana, breakfast, dairyfree, drink, energy, fibre, gluten-free, glutenfree, health, pear, raspberry, smoothie, vegan, vegetarian, weight loss. Bookmark the permalink.